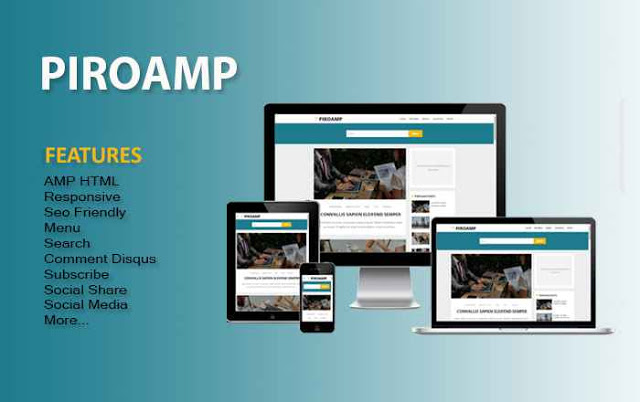 PIROAMP is a free AMP Blogger Template (Accelerated Mobile Pages) like vletters Amp blogger template, designed by GoomSite. This Amp blogspot template is well designed with a personal blog view and it's a super fast blogger template (takes seconds to load and run it all). Piroamp amp template is very clean and super SEO friendly, Valid AMP HTML and User Friendly. It is a responsive blogger template which will fit into any kind of screen it's viewed on. This Amp blogger template is perfect for various niche. Almost every websites is switching to accelerated mobile pages now, because it's light, clean and super fast, with Piroamp you are given a chance to enjoy Amp on blogspot blogs as well.